Don’t judge this book by its shabby cover, like the ones found on communal shelves of cozy B&B’s around the world. 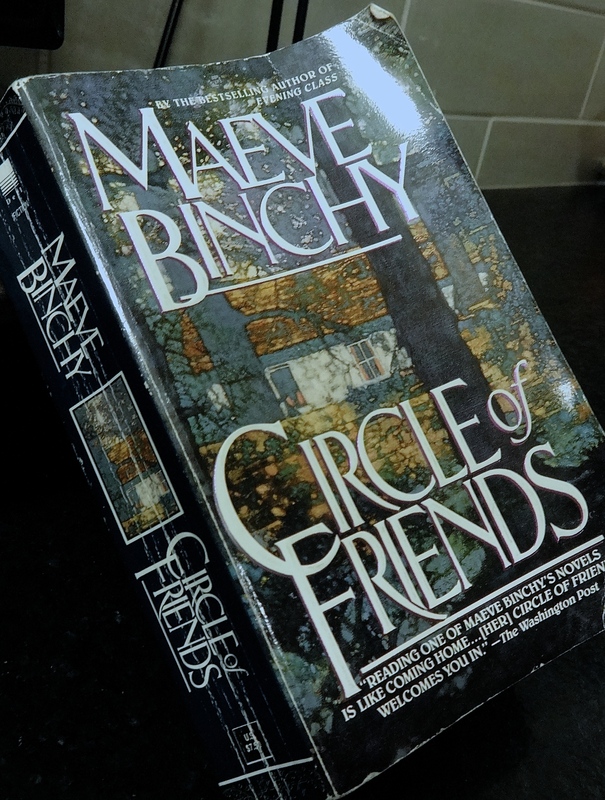 A bit slow to start, Circle of Friends by Maeve Binchy is a good book that kept me going through all 596 pages of it. This was the first novel of Binchy’s that I have read and it won’t be the last. Binchy does a great job of developing characters across a wide range of ages, personalities and social classes in the mid-1900’s in Ireland. The story begins with Eve and Benny, opposites in appearance, parentage, and personalities, and yet they become inseparable friends. One, an orphan, and the other, a smothered only child, head to university in Dublin, only a bus ride away from their small country hometown. At university the two girls are quickly swept into a circle of friends (hence the book title). The plot quickly becomes tangled with romance and heartbreak, ambition and failure, loyalty and betrayal. Binchy does a great job of bringing the characters to life, so much so that I was rooting for the fiercely loyal duo the whole way through. I have read the odd Maeve Binchy, but probably prefer Rosamunde Pilcher? Great family sagas, easy to read and get into. I can recommend. Ahh I’ve never read anything by Rosamunde Pilcher but I’ll look up her up!